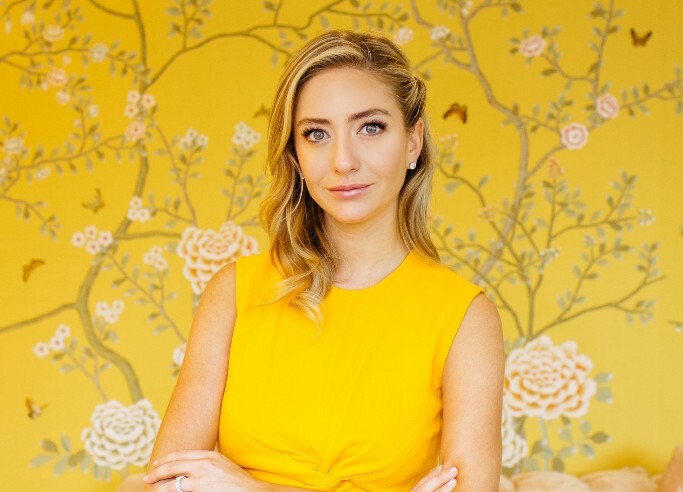 Whitney Wolfe Herd is a trailblazer, trendsetter, and innovator. The 28-year-old has completely revolutionized the way people date, by creating Bumble, America’s fastest-growing dating app which gives all the power to the women. But Bumble isn’t just for finding love. The app has two new extensions—Bumble BFF and Bumble Bizz—which allow users to make friends and career connections. Recently Whitney appeared on Forbes’ 30 Under 30 cover, where it was revealed that she reportedly turned down a jaw-dropping $450 million buyout offer from the Match Group, and then was approached again by the company with a valuation of over $1 billion. So what does this busy bee do before a day of changing the way people think of relationships? Scan Whitney’s complete morning routine below. 6 – 7 A.M. I usually wake up around this time. 7:30 A.M. I make myself coffee with our french press using organic coffee beans from Whole Foods and take my dog Jett for a walk before heading back inside and checking emails or hopping on calls with our London team who is 6 hours ahead of us here in Texas. 8 A.M. Depending on my schedule I try to fit in 30 minutes of exercise before I get ready and head to the office. I think it’s important to be active even if it’s only for 30 minutes. Leading up to my wedding I worked with a trainer and she gave me lots of great strength training exercises so I try to alternate each day between legs, arms, and abs. If I can I also try to make a smoothie for breakfast using organic romaine, spinach, and blueberries. 8:30 A.M. I quickly shower and get ready for work. My routine is pretty simple, I wash my face using Dr. Sturm cleanser and make sure I never leave the house without putting sunscreen on my face, my favorite is Elta MD. 9 A.M. Usually I take more calls while I get ready and get a head start on my emails for the day before leaving the house.